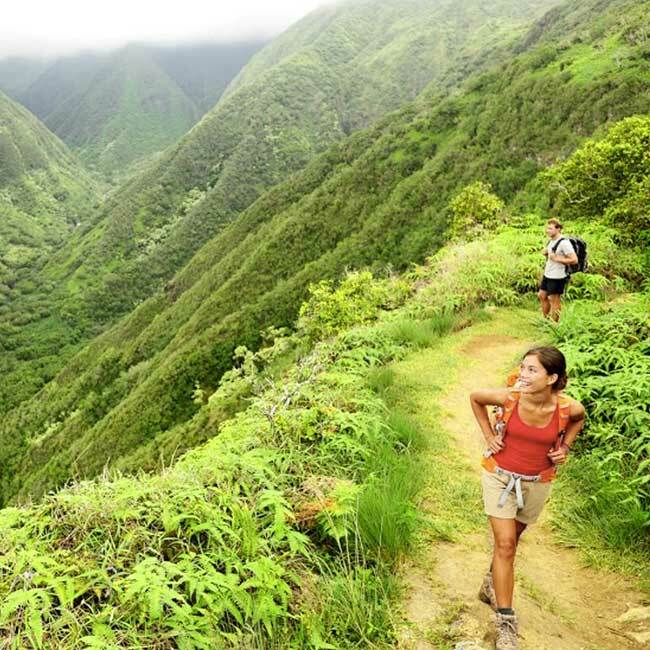 Hiking in Hawai’i can be as mellow as a nice walk in a park to magical strolls through the rainforest to waterfalls to harrowing traverses up and along steep mountain cliffs. The Koolau Mountains basically form a spine that splits the island in two with the windward side (wet and green) on one side and the dry leeward side (Honolulu) on the other. Most of Oahu’s hiking trails traverse into or out of this spine of mountains. Several trails also lead up volcanic craters which are steep and challenging climbs. There is also plenty of dangerous hikes were injuries and even fatalities have occurred. Many of these dangerous trails have been closed with security or police monitoring them. It can be a $1000 fine if hikers are caught on these trails. That’s why it’s always best to go on a guided hiking tour. Hiking tours can also include bike rides and waterfall swims. Some tours will include a hike with other types of sightseeing as in the case of some circle island tours. 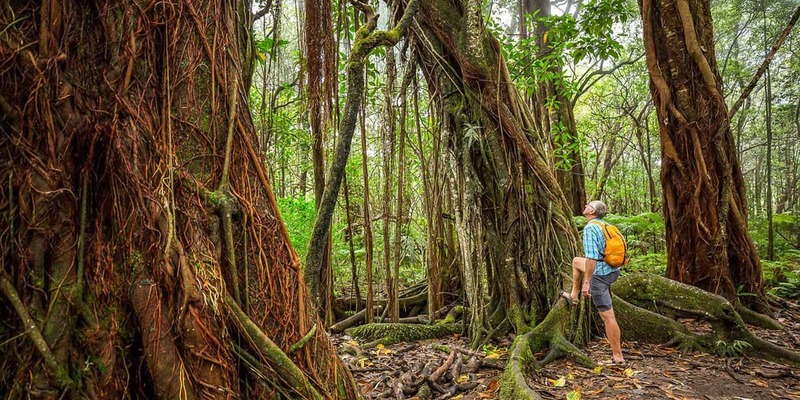 Many trails on Oahu have ancient legends attached to them. The Pali trail is said to be haunted by a dog. If you see a lone dog on the trail it is said to be a warning to turn back. Footpaths throughout Oahu are said to be traveled by Night Marchers. Legend says that they are warriors protecting deceased chiefs as they travel the land. If a person comes face to face with them they will be killed.